The post-World War II period has seen the development of regional blocs as individual nation-states sought strategies to cope with the complexities of globalization. These conglomerations of countries have evolved following different trajectories, and adapting to their unique historical circumstances. The majority of the studies on regionalism have tended to focus on the European Union, which is the oldest and most institutionally complex of the existing regional blocs. 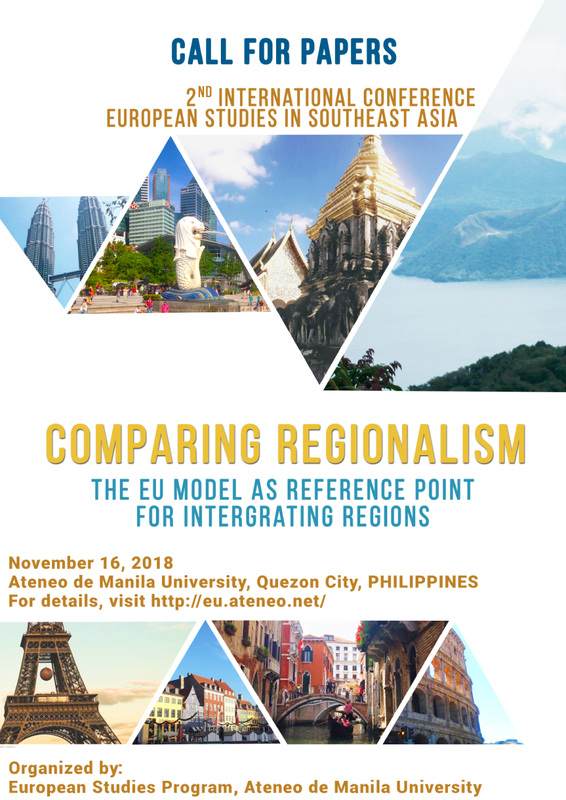 In recent years, there has been a growing interest in comparative regionalism, looking at how processes, policies, and state dynamics have shaped the integration among neighboring states. This multidisciplinary conference dovetails with this trend by encouraging contributions that compare how regional blocs address political, economic, social, cultural, and legal issues. Submit your paper to euconference@ateneo.edu on or before the deadline. Note: Registration fee is inclusive of meals, refreshments and conference kit. The participants will be responsible to seek funding for travel and conference participation from their home institutions. Paper presenters will arrange for their flight and hotel accommodation. For details, visit http://eu.ateneo.net/ or Click here.